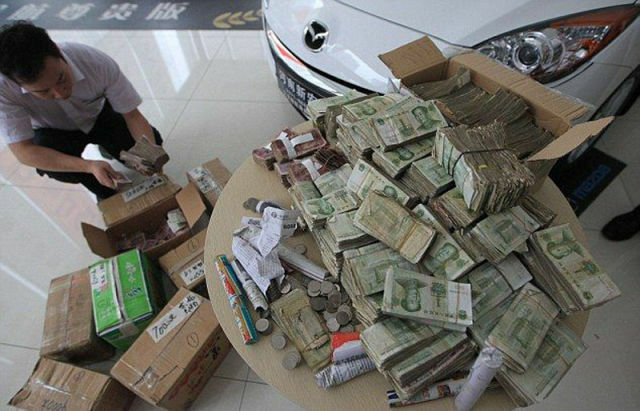 Mr Zhang, the owner of a cold drinks factory and food additives business, arrived at the car dealership in Zhengzhou with 10 boxes of notes and coins equal to $25 500 (153,800 yuan). 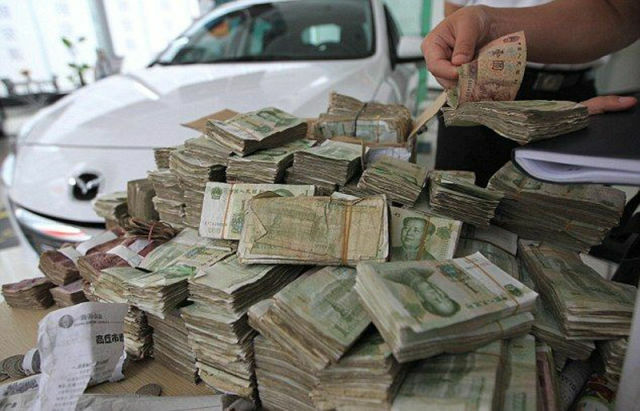 It took two bank clerks several hours to count the money. 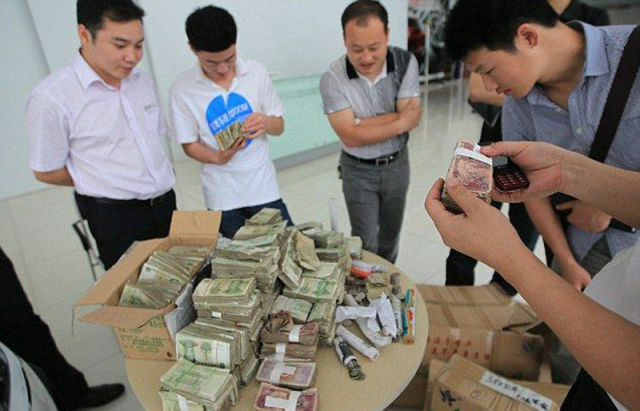 This situation is not unusual in China as the government refuse to print currency with high values and the highest is the 100-renminbi note, which is only equal to roughly $10. He received the notes from cold drinks factories at his food additives business. 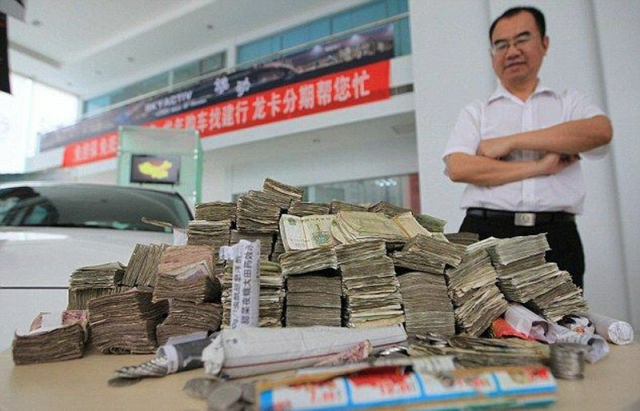 Is China that backward that they don't have currency counting machines there? You can buy them for under $100 or go to any bank (or big box retailer) and use theirs.